Royal Jordanian are on a roll. Check (exhibits:1, 2, 3, 4), and what started as a small tactic turned into a strategy. 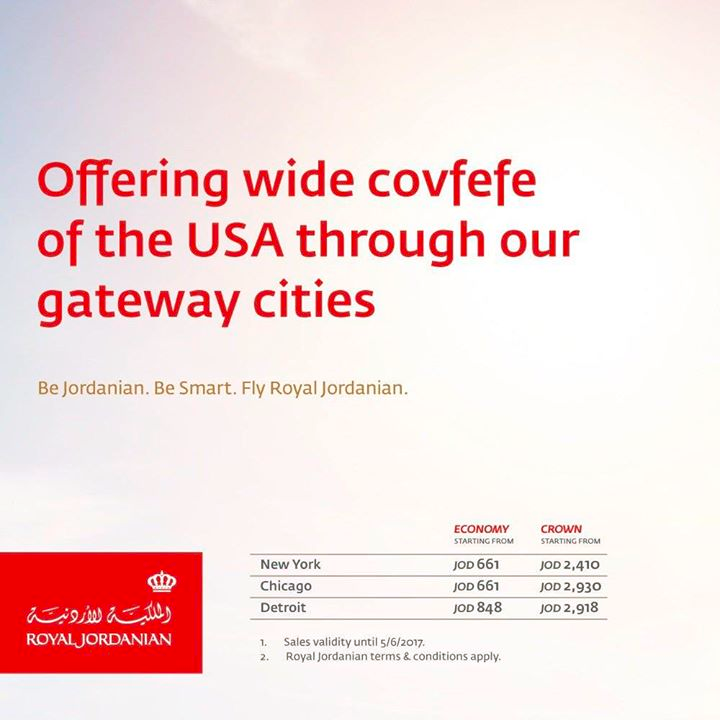 Usually, it is unsustainable to build campaigns out of disparate events, but Royal Jordanian did exactly that and is enjoying the ride (no pun!). 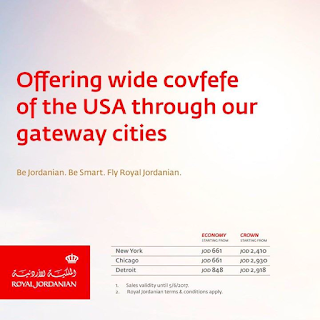 Interestingly, in terms of positioning this is very far from what Emirates or other airlines are doing, but when it comes to being visible, Royal Jordanian is jumping on every trending bandwagon and it is - surprisingly - working very well. Let us hope they will keep being just as witty to keep the covfefe of their ads coming!